HARMAN’s Studer has appointed Rob Hughes to the position of Market Sales Manager. In this position, Hughes will be responsible for sales of Studer products throughout the EMEA sales region. 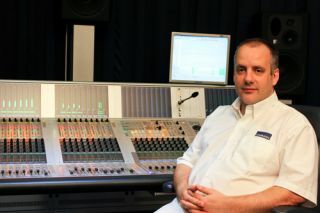 Rob Hughes, Market Sales ManagerHughes began his career in pro audio as a freelance touring engineer, spending 15 years touring the world as a sound engineer and system tech. He also spent many of those years in charge of the audio of major UK festivals including the Reading Festival, V Festival, T in the Park and Download.